The 31 cuts that support this essay were songs that got air-play on American radio during the 50s and 60s, but never sold a great amount of records. Many of them were records that D.J.s loved to play as "theme songs," so that when you scrolled across the dial you would find the appropriate program at the appropriate time on American AM Radio on both powerhouse 50,000 watt stations and on lowly little 250 watt stations and everything in between. With the advent of FM and the changes in radio over the years in general, this is a relic of radio past. It is, however, all good country and bluegrass music and maybe a couple of oddballs along the way. So bear with me and I'll get started. I might make note that for the most part the big names have been passed over for some of the more obscure recordings. Let's start off with a mystery. Spade Cooley & his band recorded their version of "Steel Guitar Rag" on 05-03-1946 as Columbia 38054. Later that year, Nelson King started the "WCKY Jamboree" over 50,000 watt WCKY AM in Cincinnati, Ohio. This version here has a full orchestra including a concert sized harp and two accordions, and was obviously played by certain members of the band from written charts. The WCKY version played from 1946 into 1964 when the program left the air is note for note the same arrangement but with two differences. There is no harp and as best as I could tell only one accordion. I had a chance to discuss this with Dale Sommers, the "Truckin' Bozo" on WLW, who was on the air overnight out of Cincinnati for many years . He had a dub in a cart of the original WCKY theme and he played it on his show infrequently, but he had no clue where it originated from. Maybe, he thought, it was an "alternate take" to the 1946 release. Otherwise no clue. In 1952, after the WCKY Jamboree was a national hit radio program and Nelson King was THE number one country D.J. 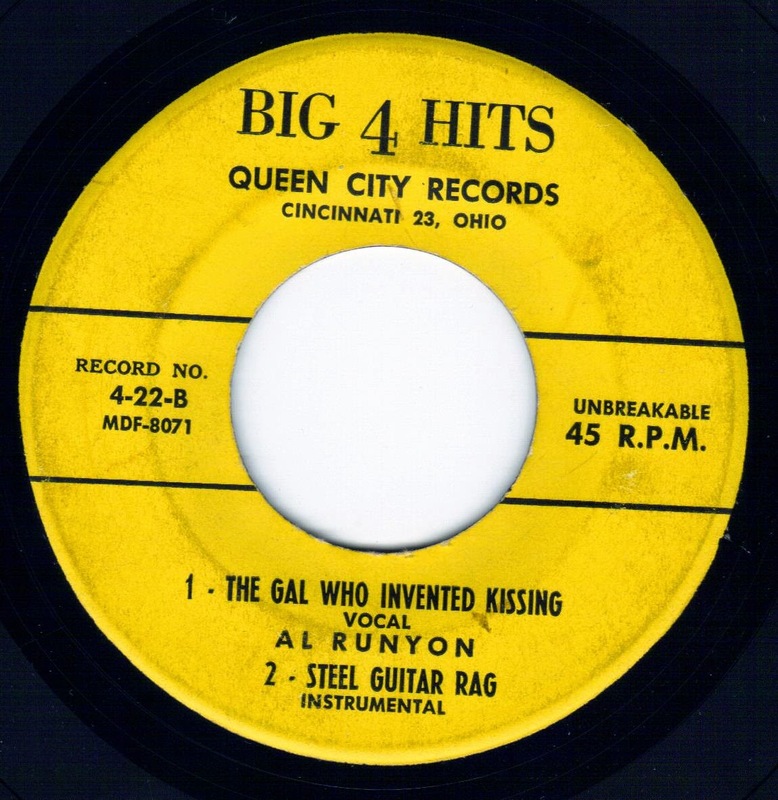 in the country, Big 4 Hits Records was formed by Carl Burckhardt in Cincinnati to sell, via mail order, EP's of sound alike country singers doing big country hits over the air. This venture was an immediate success. Strangely enough, "the powers that be" King and others had a stripped down version of "Steel Guitar Rag" recorded and inserted in one the earliest packages, if not the first package. It is also included here and it is note for note the same as the WCKY theme but with a lot less instrumentation and no musicians credit listed. The only other difference I can tell is the up front steel string flat-top rhythm guitar which comes in and out. It's a good version in any case. So between the two you have a good idea of what was heard on WCKY for 18 years. Paul Howard was a minor Grand Ole Opry star in the years after WWII and had records out on Columbia and King, but made no major impression at the time. His "Cotton Picker's Special" is noteable for being a "Bob Wills Western Swing type number" recorded with drums which historically were still years away from being allowed on the Opry and was recorded in late 1947 to beat the recording ban of 1948. Everybody should know the story of Johnnie Lee Wills (1912-1984) and his on and off association with his brother Bob Wills and his own recordings and radio transcriptions and his Oklahoma bands from various re-issue LP's and CD's in later years. At the time this instrumental was issued, 1950, Wills was riding a big hit record of "Rag Mop" and didn't get much notice at the time. Hank Snow was a country legend and Hall Of Fame member and appeared from the number of recordings he made over the years to be frequently in the studio at RCA-Victor, many of which to this day have not been released. This spritely instrumental was recorded in 1952, but wasn't released until 1957 and then passed by mostly unnoticed. Eddie Smith had his first release on King in 1951 with a cover of "Down Yonder" (which we profiled in a previous blog post concerning the song.) I know nothing of him, except that I remember that he made an appearance on the Gannaway filmed Grand Ole Opry TV show in 1956. He recorded for King Records into 1954 and had no hits. The songs were used as theme songs and instrumentals by various D.J. 's and really some of them, I think, were experimental in nature to sort of gauge the teen-age buying public. Copies went out to D.J. 's and record jobbers and juke-box operators for evaluation more than anything else and never really reached the general public. They are a mixed bag. Let's look at the songs. "Back In Your Own Back Yard" was a smaltzy oldie much in the vein of what Johnny Maddox was doing on Dot Records and it was perfect as a record intro to small multi purpose radio programs such as AM or PM music shows or "Trading Post" and "Swap" programs and call-ins. "Exhibition Special", the next instrumental on the master tape is a jaunty, smaltzy number with a saxaphone lead. Strange song, including the flute. "Red Suspenders Blues" was recorded in Feb. 1953 and was going for Country with that old 1-2-and then rock refrain used a few years later by Kay Starr on "Rock-n-Roll Waltz." An experimental recording to be sure, but I heard it late at night on country radio in those days. "Eddie's Blues" the next recording on the master tape from Feb 1953 was a sort of country boogie. Actually a hodge-podge of things which don't quite gel, but it's an under appreciated piece to be sure. The York Brothers split the session in the first part of January with Eddie Smith and The Chiefs. The musicians are the same and again both were experimental recordings aimed at the "teen" audience and missed, never to heard from again anywhere. 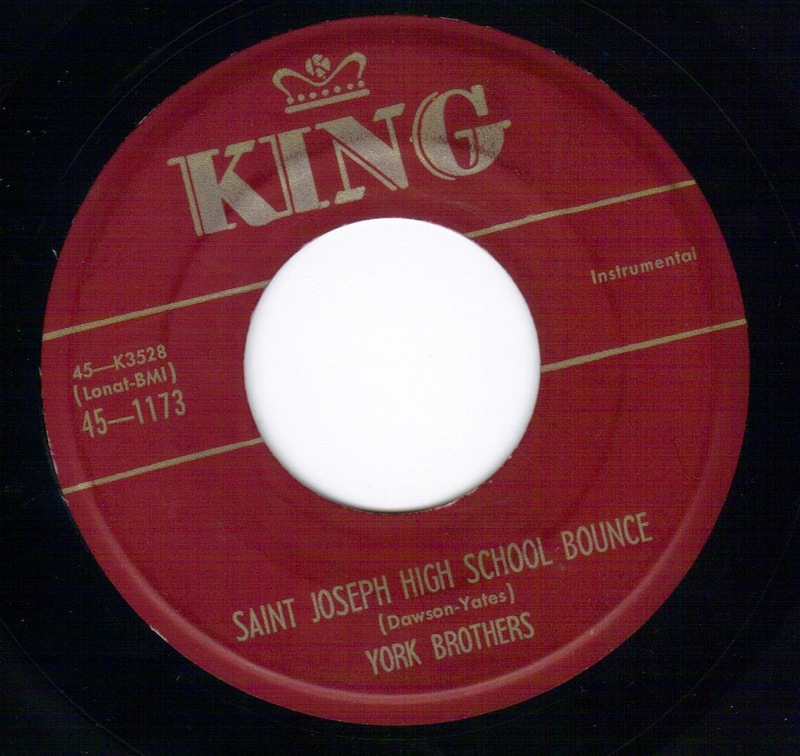 "St. Joseph High School Bounce" and "Lakewood and John Marshall Blues" couldn't be more obvious and more obscure, but they were good listening and still are. 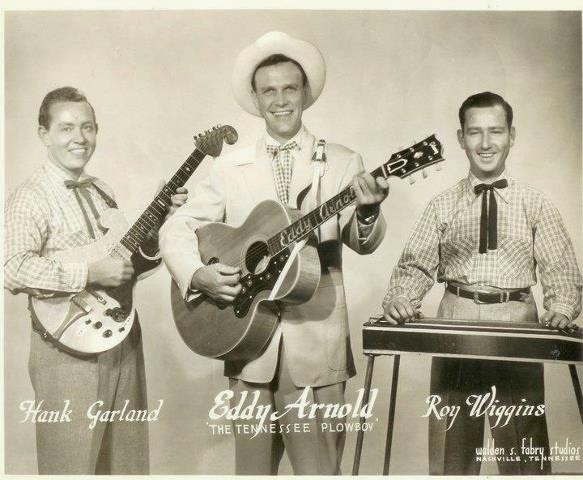 "Little" Roy Wiggins was the steel guitar signature behind Eddy Arnold for a number of years and this 1953 recording for Dot Records had an instrumental of Arnold's "It's A Sin" on the B side. 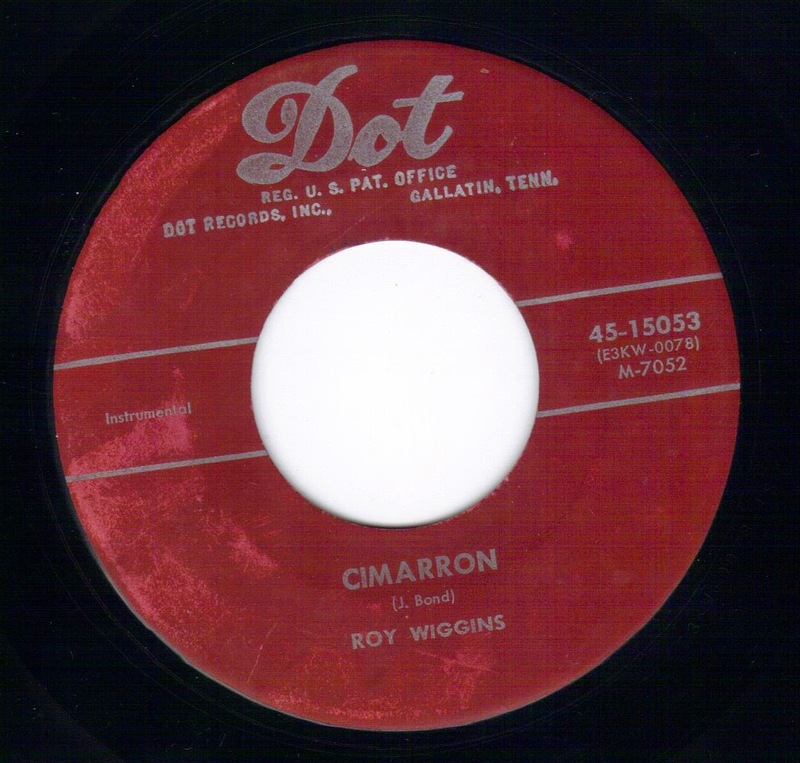 The A side "Cimarron (Roll On") was a much earlier hit/standard written and recorded by Johnny Bond. Not given label credit, Del Wood's piano is featured on the record to good use. Another D.J. favorite. Chet Atkins had a break out hit with "Country Gentleman" in 1953 and it was a favorite for many years with Country D.J. 's as a theme. Supporting Chet was Jethro Burns on mandolin and Homer Haynes on rythm guitar. The high powered day time only radio station WPDX in Clarksburg, WV, for one, used it for a theme for its Dee Wyatt Show every afternoon for a number of years. Arthur "Guitar Boogie" Smith had several instrumental hits on M-G-M Records from the late 40's on and after Hank Williams, was the most popular and most sold country artist on the label. Smith also was fortunate to have a lot of radio play on the big stations such as WCKY and WJJD in Chicago which regularly broke his records to the public. He and his Crackerjacks held forth for years on both radio and TV at WBT in Charlotte, North Carolina. Most of his recordings were done at his own recording studio. 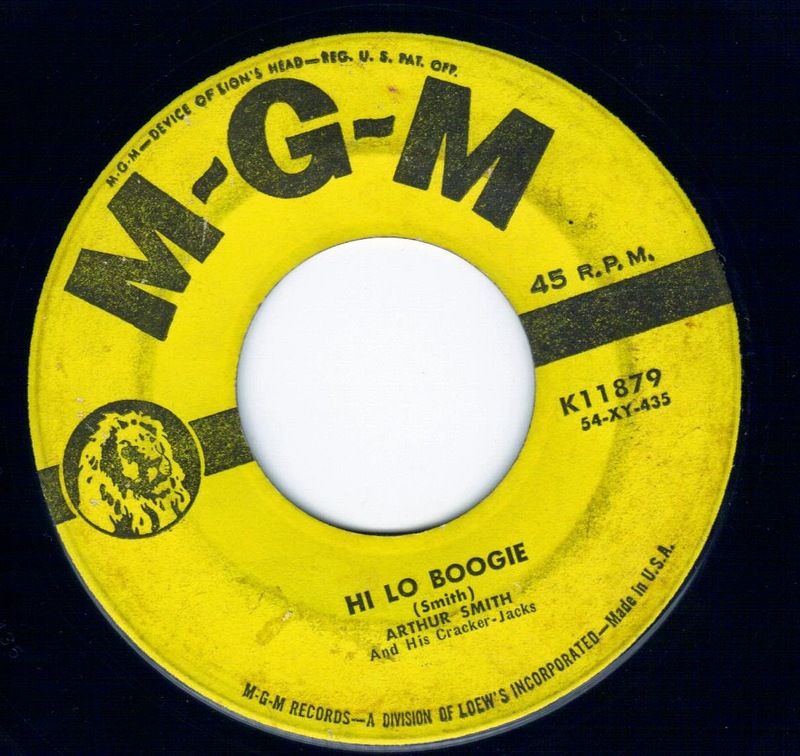 "Hi Lo Boogie" is a good example of his early use of over-dubbing and experimental use of tape a la Les Paul. It must be noted also that Smith was also a vigorous businessman in Carolina. As one person expressed to me once "Ole 'Guitar Boogie' is making money, even when he isn't making money. He recently passed away in his 90's. Speedy West (steel guitar) and Jimmy Bryant (electric lead guitar) were studio musicians at Capitol Records in Hollywood, CA, backing all kinds of recording artists on Capitol and other west coast labels. They also were members of Cliffie Stone's TV Show in L.A., "Hometown Jamboree." In 1951, Ken Nelson started producing single records by the duo which immediately found favor with radio D.J. 's and record buyers and they put out quite a number of winning instrumentals into 1956. Probably 1953 and 1954 could be considered their best years. "Bustin' Thru" is a quality example of their work. Hank Thompson's Brazos Valley Boys was a leading country/western swing band for a number of years sometimes including Merle Travis as a sideman and recorded many instrumentals in various sessions in the 50's. D.J. 's picked up on them as B sides and played them as themes on their radio programs. They would fit anywhere. Opening or closing, didn't matter. "Red Skin Gal" was especially noteworthy as a closing theme because you could fade it out anywhere, or start talking over the beginning of the music and then "pod it up" until the end of the program. There is a break in the Don Reno & Red Smiley recordings for King Records between August 1956 and November 1958, when they were signed and produced at Dot Records by Mac Wiseman, and while King had a good backlog of Reno and Smiley recordings in the vaults, Syd Nathan and people at King went out and found and/or put together a replacement bluegrass band which was Leon Jackson, Johnny Bryant and the White Oak Mountain Boys. 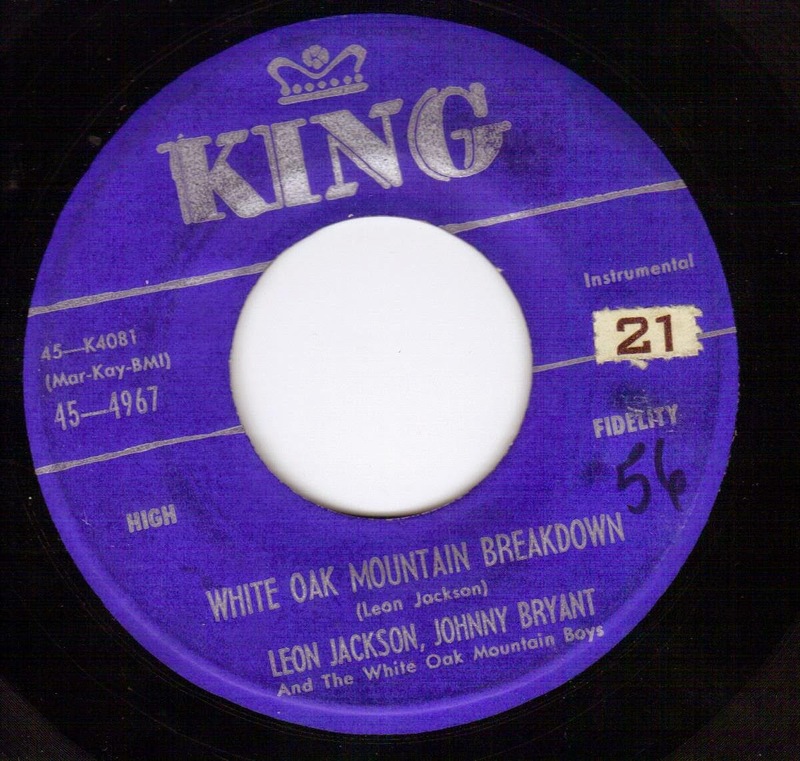 "White Oak Mountain Breakdown" was their first release in late 1956 and "Buttahatchee" was their second, at least I saw a D.J. copy of the 45 RPM somewhere along the way and it also was the theme song of "Cherokee Sue's" daily radio program over WPDX in Clarksburg, West Virginia, where she sold baby chicks, song books, and a variety of other mail order products and had sponsors such as long gone patent medicines. "Rocky Roads", I haven't a clue, but all three were on a King-Audio Lab budget LP in 1962, which I own. "Raisin' the Dickens" and the B side "Bud's Bounce" were recorded as part of a Little Jimmy Dickens recording session in 1956. 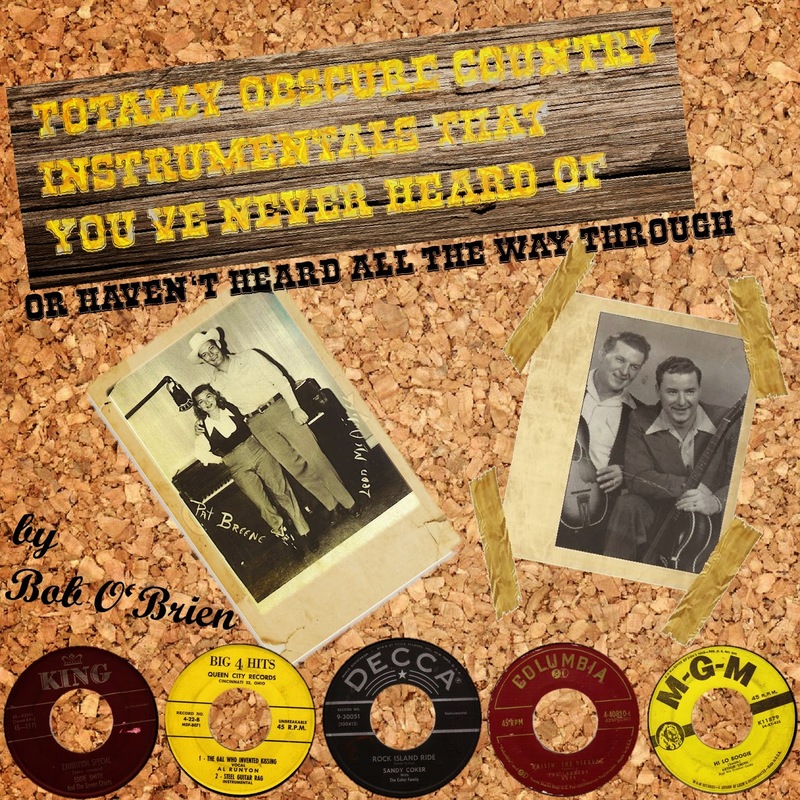 This double sided instrumentals became almost instant country standards before Buddy Emmons was 20 years old. Emmons and the Dickens Band recorded 4 instrumentals at the time. These first two got a lot of airplay and juke boxes ate a lot of nickels for these songs and sold a lot of copies as well. 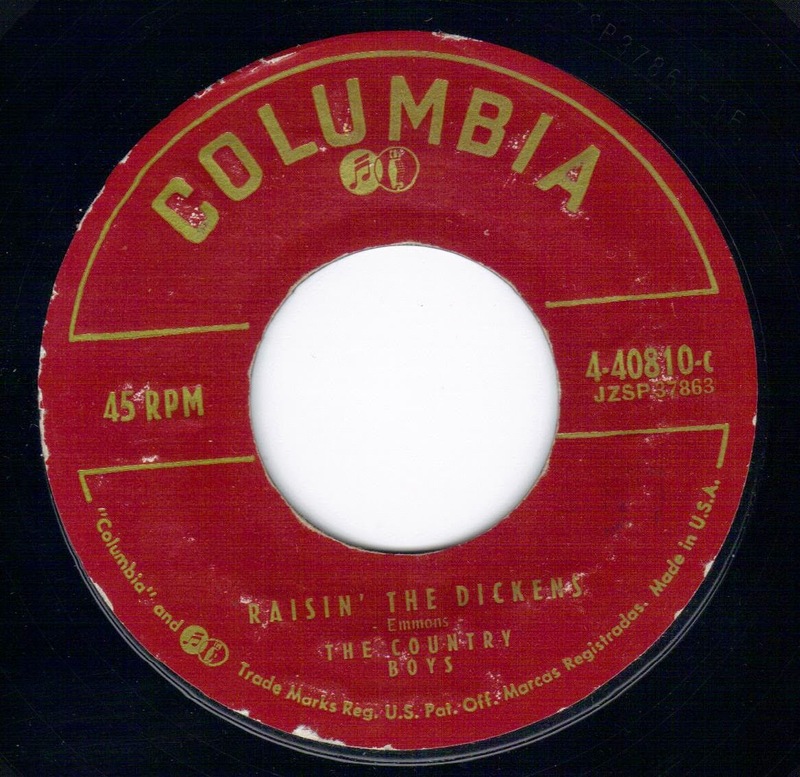 "Raisin' the Dickens" went on to be the title song on Little Jimmy Dickens' first LP Columbia 1047 in 1957. Emmons is the most famous steel guitar man in the world not only for long stints with Dickens, Ernest Tubb, Ray Price and others and for countless sessions worked as a sideman down through the years. He also is responsible for the "Shobud" steel guitar along with Shot Jackson and as an inventor and modifier in steel guitars to this day. A true musical genius. Bill Duncan and Cecil Surratt & Smitty Smith also had tracks on this album in bluegrass style and while they are good'n obscure, I know nothing about them. "Hayride Rag" attributed to George Jones and his back-up band was released in 1958 on Mercury Records after Mercury and Starday Records parted company after a short union. This was propably recorded in 1955-56 at "Pappy" Dailey's studio in Texas. It's not bad either. Herb Remington's "Station Break" is probably the most well known D.J. record in this essay. It was used for years by Country D.J. 's and was acquired by Starday Records in the early 60's, based loosely on "Choo Choo Ca-Boogie". Leon McAuliff And His Cimarron Boys had a big hit recording of "Panhandle Rag" on Columbia Records in early 1949. This later version from a radio transcription found favor with D.J. 's as a theme as well. Sandy Coker was a young teenage guitar player in California in 1957 when this two-sided instrumental "Gitfiddle Rag" and "Rock Island Ride" was released. It got a lot of air play and was a juke box favorite as well.This is his only release under his name. His father and his sister also had a few Decca and Coral releases in the same time frame. Bob Wills & The Texas Playboys recorded over 200 hundred songs in 1946 and into 1947 at a recording studio in San Francisco, which was state of the art at that time, for a series of Tiffany Transcriptions for a company formed and owned by Wills, Cliff Sundin and radio personality Clifton Johnson (aka "Cactus Jack"). Before it got off the ground, the company went out of business with a lot of acrimony on all sides. Sundlin got custody of all the physical property associated with the business and kept it in his basement until his death in 1981 when cooler heads at his estate decided to release several discs over a period of several years. Sundlin was still incensed with Wills that in the time after Wills's death, he would not talk to Wills' biographer or open his files to him. We do offer here both the opening and closing themes used on those Tiffany Transcriptions. From a very obscure Cimarron album from 1962, Ron Barlow program director/announcer at WMNI radio picked "Little Red Wagon" to be the theme for a used car dealership in Columbus, Ohio, for several years. This album was self-produced by Leon McAulliffe and distributed through Starday Records. McAullife's next two albums were recorded in Hollywood for Capitol Records, both instrumental albums are extremely rare as well. "Steel Guitar Rag" on track #02 was credited to Delbert Barker, released first on Burckhardt's Kentucky 571 label in 1953. Bob McCoy prob. plays the steel guitar on this track. I forgot to say that the other musicians are prob. Ralph (Jr.) Barker (lead gtr. ); Tug Swain (rhythm gtr. ); Curly Brewer or William (Bus) Apple (bass); Billy Thomas (fiddle). This was Delbert Barker's band and prob. why he was credited on the Kentucky label. "Steel Guitar Rag"The track was recorded in 1952 and was released first on Big 4 Hits in 1952. The Kentucky release is the same recording but it came later in 1953,as an attempt to make a few extra dollars for Mr. Burckhardt. Thanks for a great post. 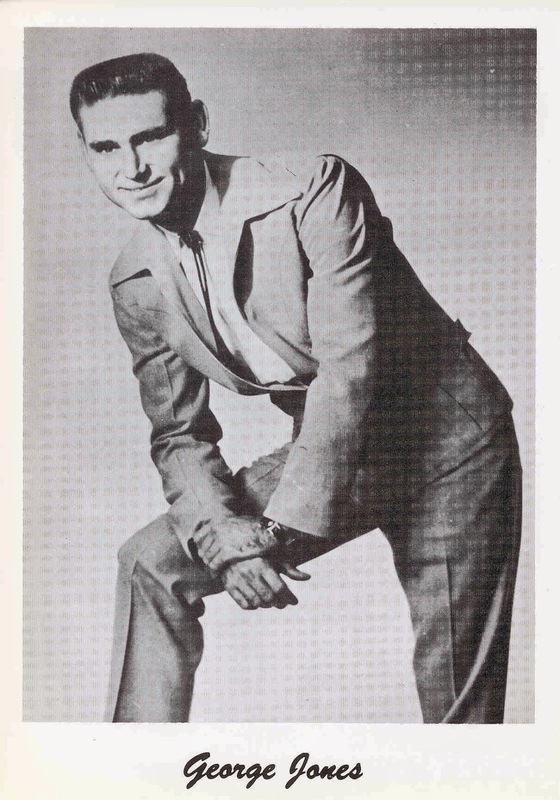 I think there is a mistake in the information about Buddy Emmons' recordings due to a mix-up with another great steel-guitarist, Bud Issacs, who had played for Jimmie Dickens in the early 1950s. The flipside of "Raisin' the Dickens" was "Buddy's Boogie." "Bud's Bounce" was recorded by Bud Isaacs for RCA Victor a year earlier, by which time Isaacs had left Dickens and was working on the Ozark Jubilee. It was Bud Isaacs who came up with the idea of adding pedals to the steel guitar, which Shot Jackson and Buddy Emmons further developed with Shobud.